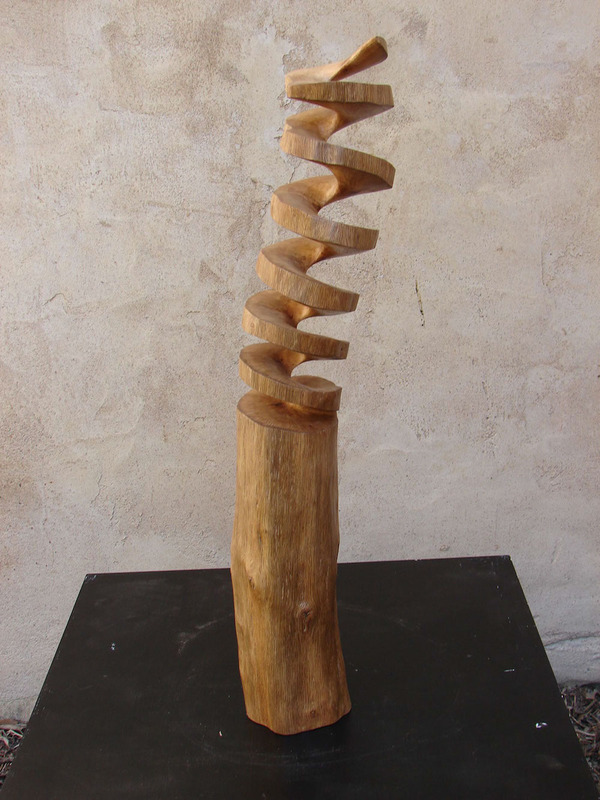 Sculptor Xavier Puente Vilardell (previously) carves blocks of pine wood into twisted screws and ribbons, redefining the solid material into one that appears both light and pliable. Some of the final works are varnished with a deep, glossy coat, while others are left to look more natural. Despite this differentiation in finish, all of Vilardell’s works showcase the natural grain of the original blocks of wood, at once expressing their similarity and originality. You can see more of Vilardell’s recent sculptures on both his Behance and website.